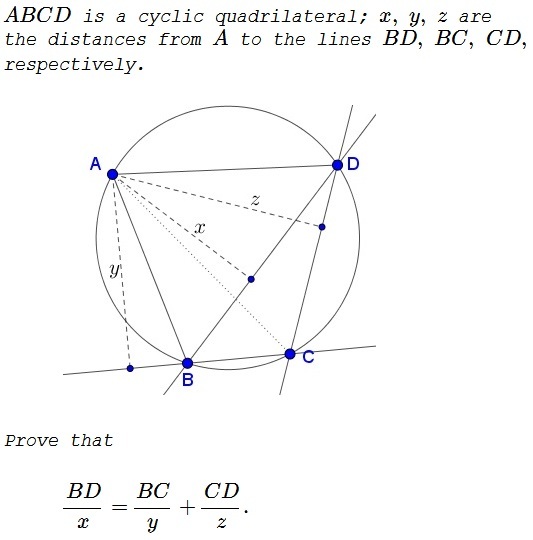 $\angle ADB = \angle ACB$ and $\angle ABD = \angle ACD$. The problem by Deepak Kumar has been kindly communicated to me by Leo Giugiuc, along with a solution of his (Solution 1). Solution 2 is by Amit Itagi. The problem has been originally posted at the Οι Ρομαντικοι της Γεωμετριας (Romantics of Geometry) facebook group.